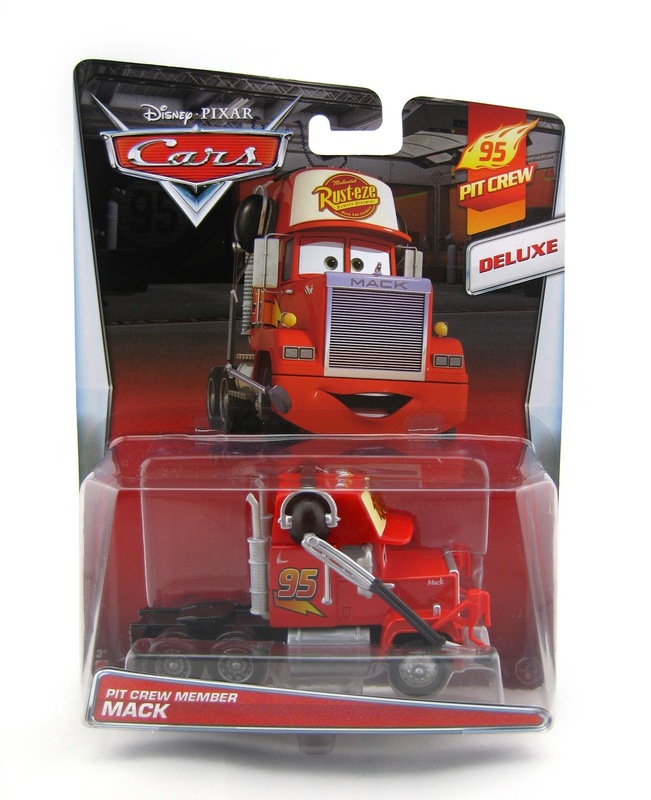 From the original Cars, here we have the brand new Mattel 1:55 scale Deluxe" diecast release of Pit Crew Member Mack (also known as Mack with Headset)! He has just been released in this year's 2015 "95 Pit Crew" sub-series (#7/8). 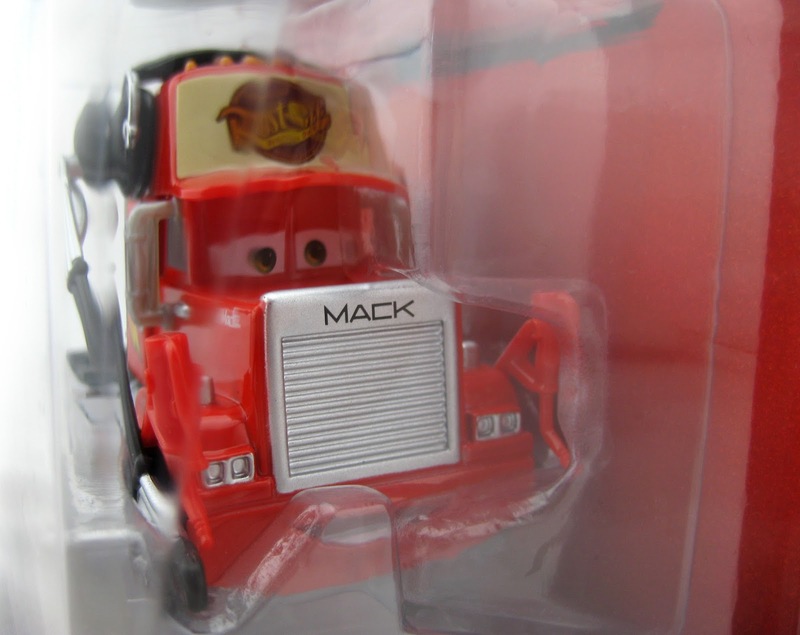 This is the very first time that this long awaited version of Mack has been released. 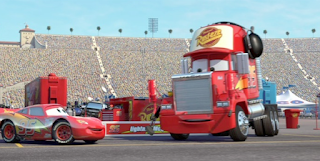 As shown in the screen shot above, Mack is seen this way at the end of the film. He takes over as crew chief (of sorts) for a brief time before the rest of the cars from Radiator Springs get there. Cars diecast fans have been anticipating this release for some time now since this was the very last character needed to complete Lightning's whole pit crew (we've had other Mack releases, but none have been this scene specific with the headset and all). Notice the oil/gas cans there attached to his front. Great attention to detail! I hadn't actually noticed that in the film. Be sure to keep a look out for him in stores now (found mine at Target just this past week) or visit Amazon using the direct link below to purchase. Good luck on the hunt!